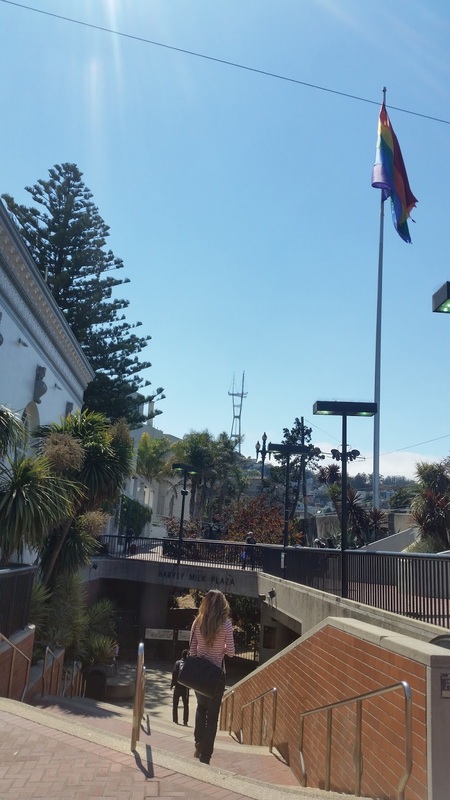 Last week I visited San Francisco. I've never been before and I have to say it is an amazing and a very gayfriendly city. I was walking around and seeing several places, specially the famous Castro Street, surely the first gay neighborhood in the US. 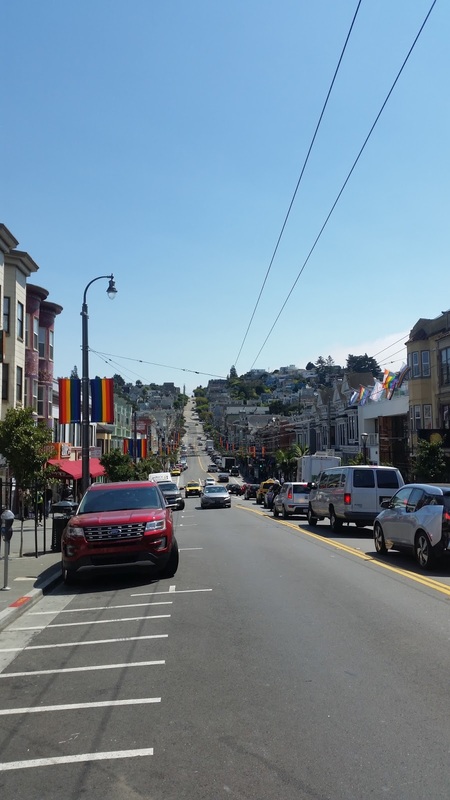 Although the greater gay community is concentrated in the Castro, many gay people also live in the surrounding residential areas bordered by Corona Heights, the Mission District, Noe Valley, Twin Peaks and Haight-Ashbury neighborhoods. The gay community created an upscale, fashionable urban center in the Castro District in the 1970s, and many gays moved there after 1970. 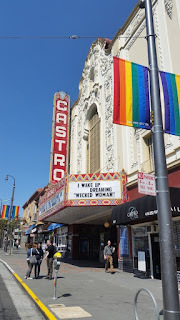 The neighborhood became known as the Castro because the landmark theater by that name near the corner of Castro and Market Streets. By 1973, Harvey Milk, who would become the most famous resident of the neighborhood, opened a camera store, Castro Camera, and began political involvement as a gay activist, further contributing to the notion of the Castro as a gay destination. There were numerous famous watering holes in the area contributing to the nightlife, including the Corner Grocery Bar, Toad Hall, the Pendulum, the Midnight Sun, Twin Peaks and the Elephant Walk. 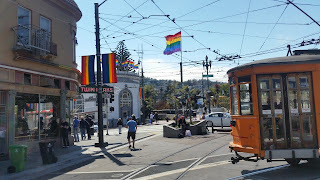 Probably, today the Castro District is more visited by tourists than activists, but in any case is one of the most important places for the gay rights movement. I have to thank my loved Eddi who guided me around the city, showing wonderful places and sharing amazing experiences with me. Thanks baby!!! 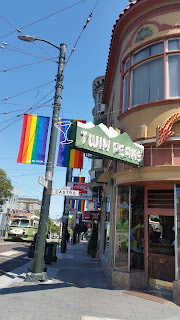 I have not been there, but know a few guys who live there. It is an amazing place. Glad you enjoyed it. It was a great trip for the both of us! Especially Alcatraz! Thanks Benja! 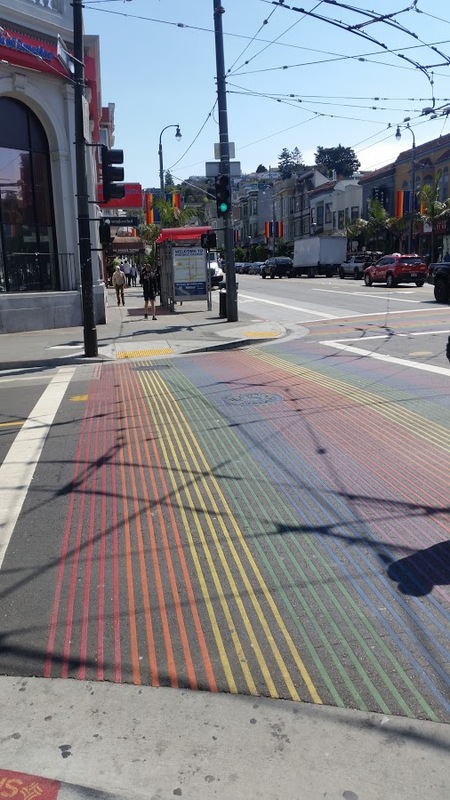 I want to visit there someday.